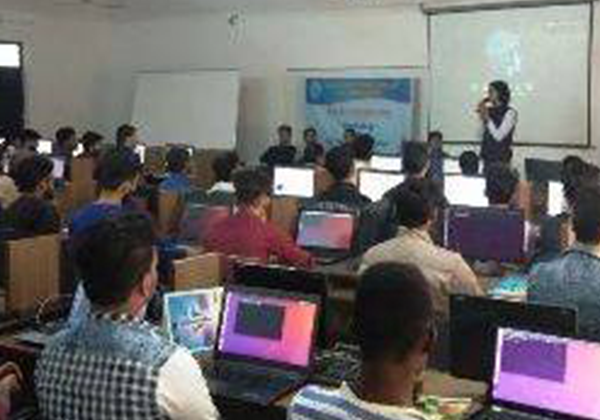 3-Day Workshop on Big Data, Hadoop and Python organized by Department of Computer Science. Department of Computer Science is organising a 3 day workshop (15-17 Feb 2018) on Big Data, Hadoop and Python by expert trainers Ashutosh Singh, Mukesh Nagar and Prateek Vyas. http://www.pacific-it.ac.in/wp-content/uploads/2018/03/news-14.png 420 600 nirbhay http://www.pacific-it.ac.in/wp-content/uploads/2017/06/PIT-black-resize-1-min.png nirbhay2018-02-14 09:07:152018-05-23 11:10:153-Day Workshop on Big Data, Hadoop and Python organized by Department of Computer Science. Ansys expert from IIT Bombay conducted session Mechanical Engineering stude... Computer Science engineering student selected in Future Group at 4.5 LPA.